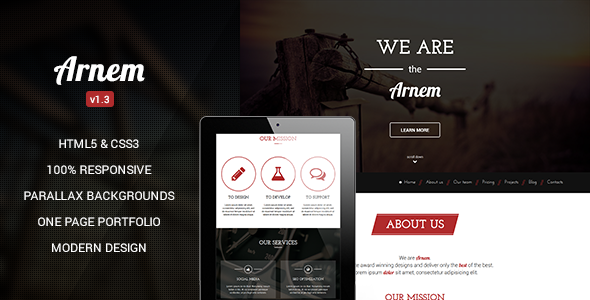 Arnem is a Retina Display Ready Responsive One Page Parallax WordPress Theme built with HTML5 & CSS3. It is perfect for a creative, personal or event corporate portfolio, a personal website or a small agency web page. Theme customization is extremely easy even for non developers and is fully described in the included documentation. ThemeForest is part of Envato Market. At ThemeForest you can buy and sell HTML templates as well as themes for popular CMS products like WordPress.Launch beautiful, responsive websites faster with the WordPress.